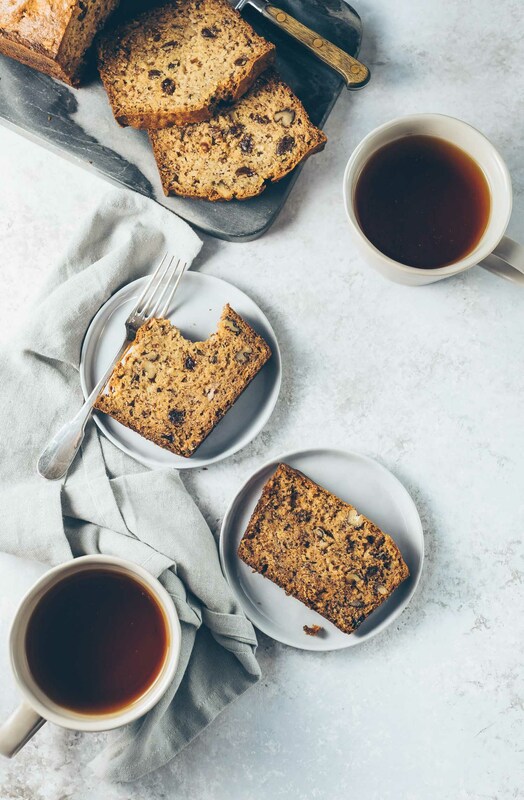 Though I generally lean towards simple, classic foods, putting a twist on an old favorite can be a treat for the taste buds, too. I’ve shared quite a few recipes here that I’ve left my mark on by putting what some might consider an unusual spin or two–but mostly, they’ve been well received. 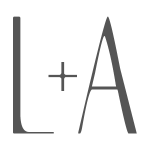 I’ve had my share of failures, of course; a few recipes come to mind that I originally had high hopes for only to see them fail miserably somewhere between idea and implementation. But since the successes, so far, outnumber the failures, I continue to try. I was in spin mode again this weekend. 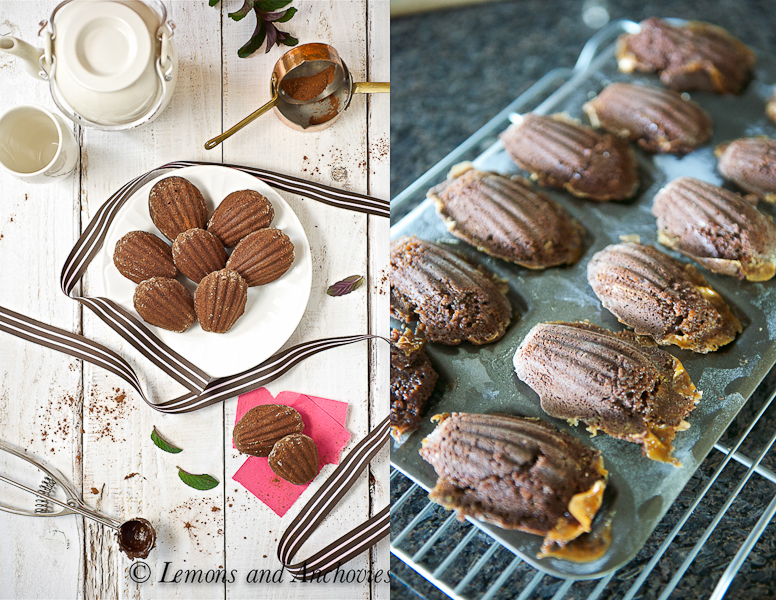 I’ve been wanting to add caramel to my favorite chocolate madeleines. They are the perfect little cakes–plump and with the characteristic rise in the center. The recipe is from Pierre Hermé; it has proven dependable and is responsible for my love affair with all madeleines. Since trying this one I’ve played around–successfully I might add–with different flavor combinations. These Honey Mango Madeleines and Chocolate-Dipped Spiced Pumpkin Madeleines are always a hit. So what went wrong with the last batch I don’t know. All I wanted to do was add caramel to the center of the little cakes. Out of all the baking experiments I’ve performed this seemed the easiest to accomplish. I drizzled a bit of caramel on the batter before baking but the cakes never rose properly. From this…to this. All because I added caramel. Same recipe. Usually gooey caramel oozing out of a baked good is a beautiful thing but as you can see in the image above, I couldn’t say the same for these madeleines. The little cakes didn’t have the tall rise they normally have; they just looked sloppy. I think that because I applied the batter in layers on the mould to make room for the caramel filling, the cakes didn’t come together properly. I suspect I disrupted some kind of baking balance here and I’ll probably never know what I could have done to avoid it. Maybe it was just the shape of the cakes that wouldn’t allow this to work. Or perhaps my baking powder failed. I also didn’t wait overnight to use this batter like Mr. Hermé suggests. What do you think? But all was not lost. Fortunately, these madeleines only failed in the looks department. They still possessed the wonderful taste and texture I have come to love. I couldn’t toss them. No way. I ended up with this trifle instead. Crumbled madeleines layered with vanilla pastry cream, more caramel and fresh blueberries made for one of the most decadent desserts I’ve ever had. Plan B never tasted so good. Feel free to use your favorite brownie recipe in place of the madeleines (or use Pierre Hermé’s recipe; just don’t add the caramel like I did). Feel free to use any fruit you like. This is my contribution to this month’s Chocolate Party. See the link below for more Chocolate-Caramel treats. Three components, one word. Decadent. Chocolate Madeleines (12), crumbled (Recipe here) Your favorite brownie recipe would work, too. Prepare all the individual components. Wait for the madeleines (or brownies) and the pastry cream to cool to room temperature before using. A wonderful dessert! I bet it tastes divine. I also always try to re-use the food that doesn’t turn out right. Well done here! At any rate, your trifle looks spectacular! Blueberries make me think of spring!! 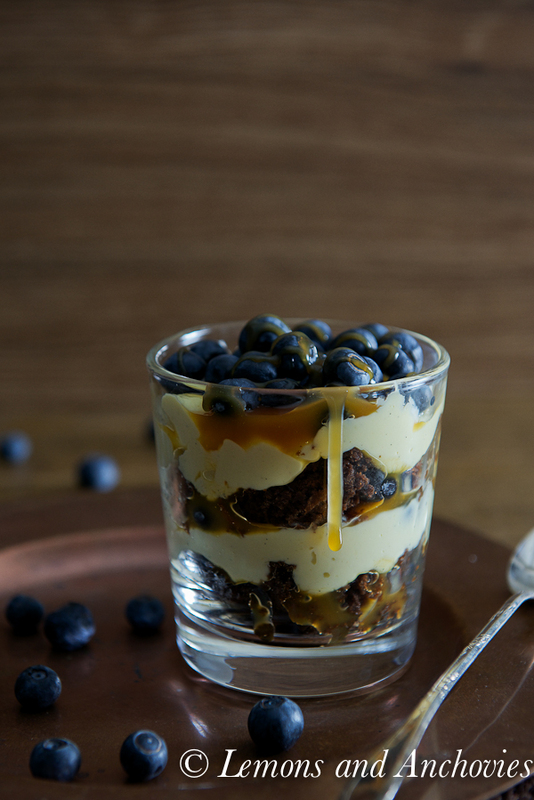 Brilliant to add blueberries to the choco caramel mix! Madeleines are a great idea to use, they turn stale quickly so they´re perfect. Gorgeous dessert Jean! 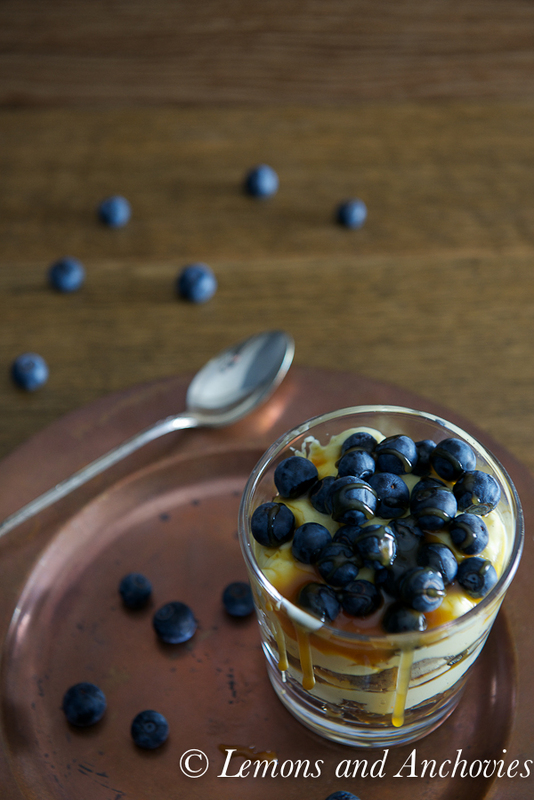 And blueberries and caramel? At first it sounded odd. But now I like the thought! I’ll have to try it. 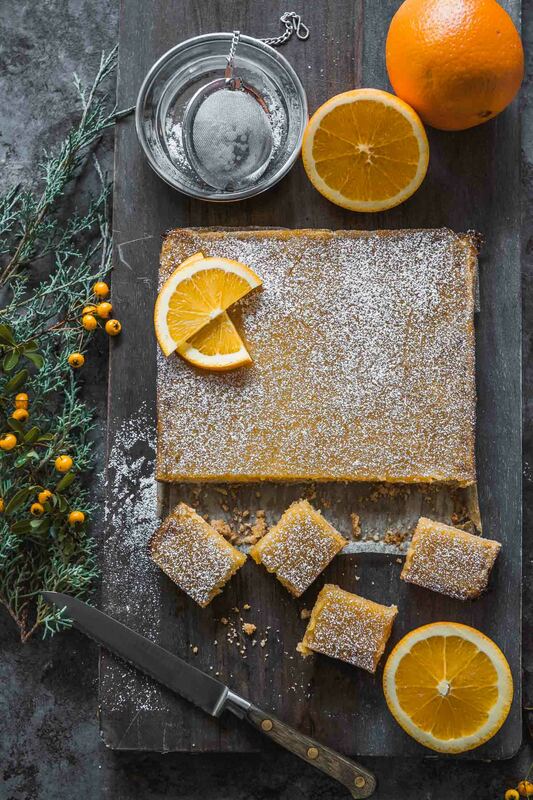 Oh what beautiful photos – everything is so mouthwatering and inviting! I just want to dip my spoon and pick a cookie from this pile. They look perfect to me and I’m sure are absolutely delish! Thanks for sharing the recipe, Jean & for the nice blog-visit! That was a great idea. My grandmother made trifle every time we visited when I was young and it is still a firm favourite. Jean that looks divine! I love the combination and presentation…ok and your mouthwatering pictures! Beautifully made..
Smart use of your “failed” madeleines! When life hands you lemons, turn it into a “Lemons and Anchovies” experience! This trifle is just a work of art – ADORE! Jean – I loved how you thought on your feet and turned something that you deemed “failed” and made it a masterpiece for the taste buds. Several years ago I made molten madelines and really thought about updating and have melted caramel in the center. (Great minds think alike) but I I could not figure out how to contain the caramel inside without oozing. 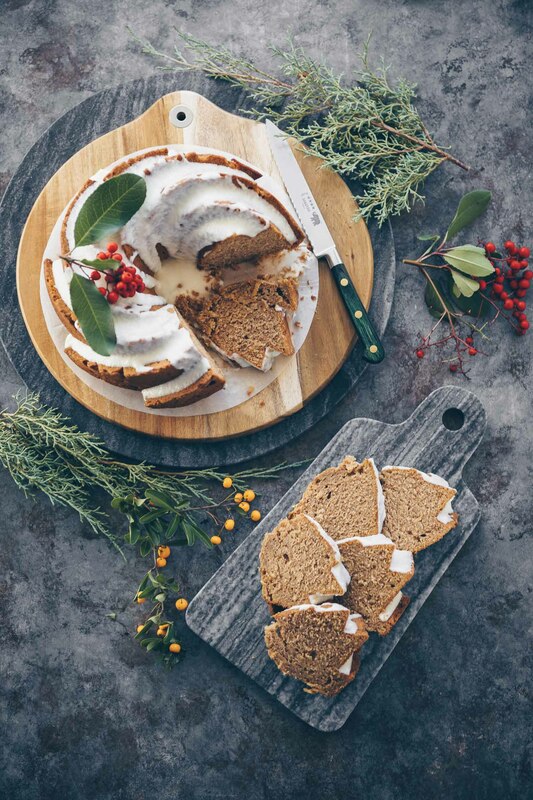 Great photos and great recipe!!! What a great way to use those fallen madeleines! I have always had a hard time pulling a good one off, so I’m impressed that you used caramel and chocolate. And I don’t think anyone would complain about a trifle as beautiful as this one! Sometimes the best recipes come from near failures. Thank you for sharing. I hope this week is full of good things…much laughter…and delicious food! Sometimes the not so pretty baked goodies are the best to eat as I’m sure these little ones were. I also like how you re purposed them for the trifle, I would have done the same. Please pass the trifles! Very clever idea Jean and a tasty one too! 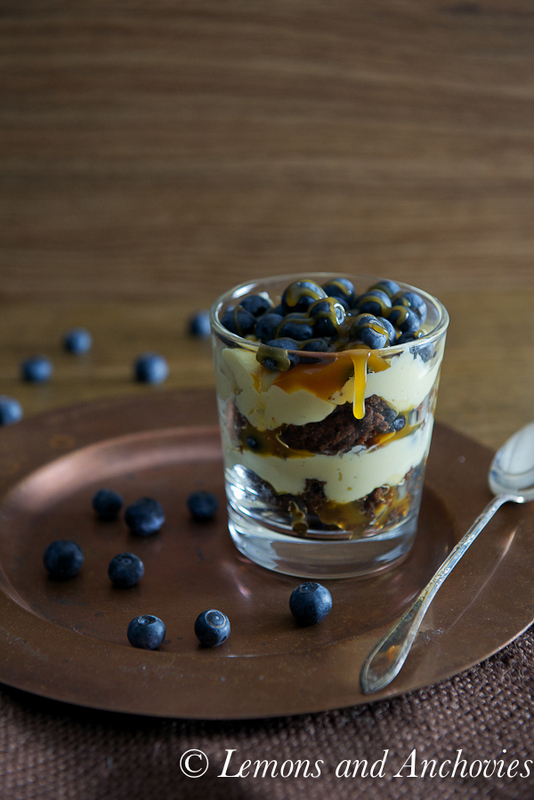 I think the blueberries make this beautiful layered dessert -nice touch with the crumbled chocolate and caramel sauce;-) I like your experiments! What a great idea! Love that you turned them in to trifles. They are just gorgeous as well! Oh yum this looks so good, your photos are stunning! I love that I’m not alone in having oopses in the kitchen. As long as God makes spoons none of mine will go to waste. Sometimes I need spatula. Shhhh! No one would ever notice your failure with this stunning trifle! GORGEOUS. I am now scared of trying madelienes – one of my favorite but I haven’t bought a pan yet. I know I need two…and still reluctant to pay for something I may not succeed in baking. Heehee. Wow. This is just stunning! I totally want this for breakfast… like everyday of my life.